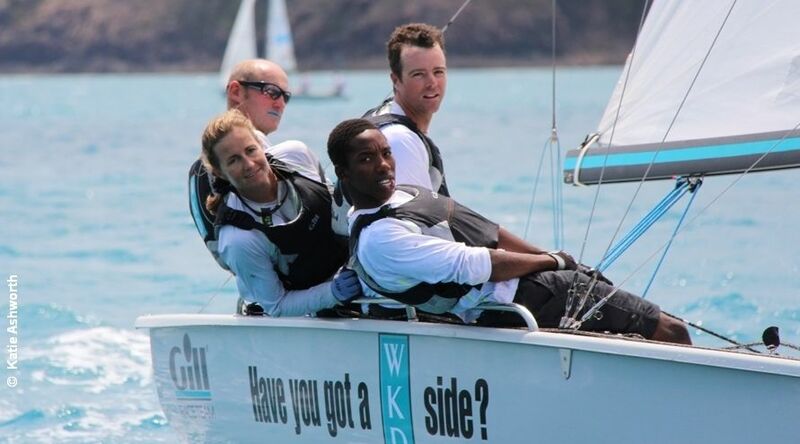 Geoff Carveth and his crew of WKD, South African bowman Asenathi Jim, Roger Hudson and Lesley Dhonau won the UON SB20 World Championship in Australia, a third win for Carveth. 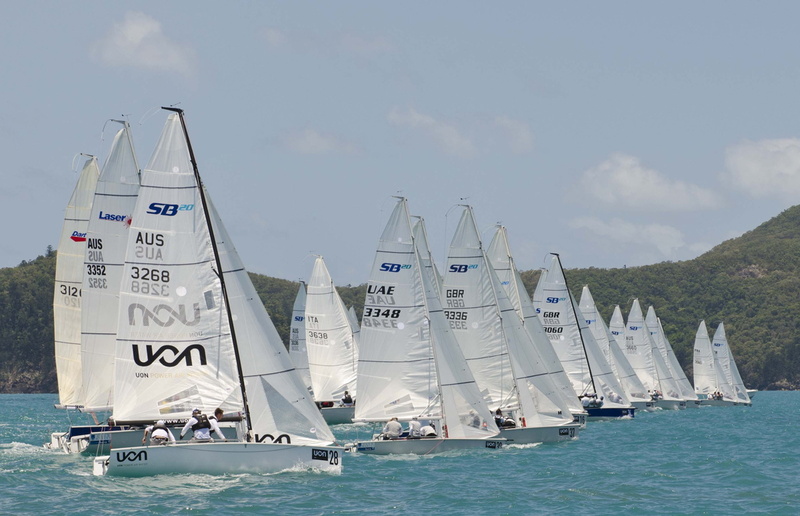 It was the closest finish at any SB20 worlds with Carveth’s British WKD team, Glenn Bourke’s Australian entry, Club Marine, and Rodion Luka’s Team Russia all wrapping up their series tied on 41 points after six days and 12 races. In the first race of the day Bourke took the gun with Carveth and Luka following to keep the presssure on. This put Bourke clear leader with Luka one point back and Carveth five points behind the leader – a mountain to climb at this level of racing. In the final race Carveth, as so often when under pressure, kept his nerve and finished second behind Andrea Racchelli of Italy, with Bourke and Luka back in 7th and 6th, which tied the three leaders on 41 points. On countback Carveth took the title. 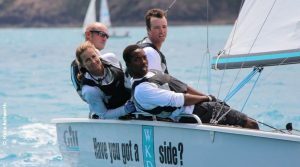 WKD’s South African bowman, Asenathi Jim, leapt off the boat once the result was known while the crew of Roger Hudson, Lesley Dhonau and Carveth embraced, then fell in, joining Jim for a victory swim. “We’ve got to say a huge thank you to WKD and Joe Woods for making it possible for us to be here,” Carveth added.